Iao Valley is located in western area of Central Maui. Just follow the signs from Highway 30 or 32 to Iao Valley Road. The road takes you through a very lush canyon. Once you arrive you can take the many trails that encompass the park. Some of the paved trails are steep so stop often and enjoy the scenery. The parks main attraction is the the 1,200-foot Iao Needle, a green-mantled rock outcropping that overlooks the Iao stream. 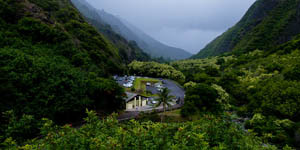 Just south of the Park is the Kepaniwai Park and Hawaii Nature Center (Iao Valley location). 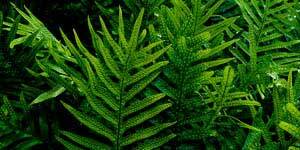 Explore the Interactive Nature Museum with more than 30 hands-on exhibits emphasizing the natural history of the Hawaiian Islands, and allowing you to unlock the secrets of a Hawaiian Rainforest.